We respect your privacy as much as you do. We are committed and make all necessary efforts to protect the privacy of our customers. We never sell, rent, or loan any personal information of our customers to third party. Any information you give us is held with utmost care and security so you have a worry free shopping experience. All the personal information like mobile numbers, email address, credit card details etc, are only collected to ensure that we fulfill your orders and deliver to you a truly & personalized shopping experience. When you purchase products at www.indiaplaza.com, you have the option of receiving emails regarding updates about special offers, new products, and new services including any significant upgrades from Indiaplaza or from our marketing partners. If you wish, at any given moment you can unsubscribe from our mailing list & you won’t receive further communication from our end. 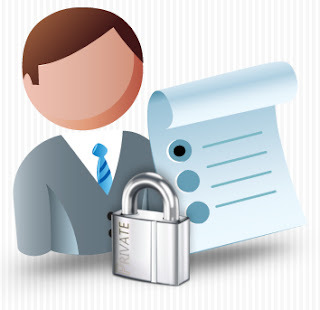 We are also bound to co-operate fully wherever required by law or legal process to provide information about a customer. However we never share marketing partners or agencies that you purchased a specific product, but we may tell them how many customers purchased a specific product to help them create better products for you. "Cookies" are small pieces of information that are stored by your browser on your computer's hard drive. Indiaplaza cookies are not used to track any personally identifying information, but they do enable us to identify you in case you have visited us earlier and to store items in your shopping cart between visits. Most Web browsers automatically accept cookies, but you can usually change your browser settings to prevent that. Even without a cookie, you can still use most of the features in our store, including placing items in your shopping cart and completing the payment process. I have ordered Nova roti maker from Indiaplaza.in on 20th Nov 2011. I have done payment through my debit card of 1148 Rs. They people updated the status as shipped on 21st nov. and shipment no. 6414292054 but no courier company info. when i called they told me that company is aramex. I called aramex on 23rd no. They told me that this shippment no. is false. Now when i call Indiaplaza.in customercare they have no answer they always say sir soon we are updating the right shipment no.